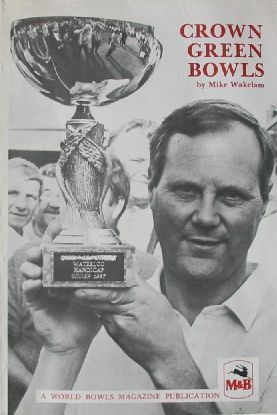 Synopsis Mike Wakelam has been involved with the game of crown green bowls for forty years. As a player he represented the Warwickshire and Worcester county side and reached finals day of the British Crown Green Individual Championship. Although still regularly playing the game, over the past eight years he has become well known for his views, sometimes controversial, in the media. He broadcasts weekly on the BRMB radio station in Birmingham, travelling the country reporting on all the top events. As well as being a regular contributor to Bowlers World and Bowls International, he has his own crown green columns in World Bowls and the Coventry Evening Telegraph. With the increase in television coverage of the game, Mike has provided commentaries for both Central, cable and Yorkshire Television. In this book, the author looks at the history of the game, its stars, its growth, problems and the future, and includes some of his own forthright and controversial views as well as a look with illustrations at the humorous side.